In 2018, China’s basic lithium salt prices declined from high levels. From the beginning of 2018, China’s 99.5% and 99% lithium carbonate prices kept dipping. Up to August, the 99.5% and 99% lithium carbonate prices dropped by 41.72% and 47.71% respectively from the beginning of 2018, due to the unbalanced supply and demand. In H1, 2018, China’s basic lithium salt capacity was released intensively, and the monthly output increment of Tianqi Lithium, Shandong Ruifu Lithium, Yanhu Lanke Lithium, Hengxinrong Lithium and Nanshi Lithium averaged around 4kt. Moreover, the growth rate of basic lithium salt monthly output reached 44%. In terms of the demand for basic lithium salt, the state set the period before June 12 as a transition period of subsidy policy. Furthermore, the state greatly cut the subsidy standard and required the battery enterprises to improve its technical level and to de-stock. Besides, influenced by the capital chain rupture, Walmart started to sell battery at quite low prices. Therefore, the demand for basic lithium salt remained tepid. On the one hand, the lithium salt supply greatly increased. On the other hand, the downstream demand was tepid, as the battery enterprises carried out technical improvement. Thus, China’s lithium carbonate prices kept dropping. Up to the end of August, China’s basic lithium salt prices trended flat, but the substantial expansion of lithium salt capacity will accelerate the process of industry reshuffle. In 2019, the basic lithium salt capacity will further expand, and the long-term contract prices of lithium concentrate in Australia will decline. Moreover, the lithium salt prices will decrease to rational levels due to the industry reshuffle. Most market participants will focus on 811NCM and NCA, and alternative fuel vehicles with high driving range will be more favored by consumers. In 2019, the overall technical level of the basic lithium salt industry will improve, and the overall industry will carry out reshuffle. Besides, China’s basic lithium salt prices will reach rational levels. 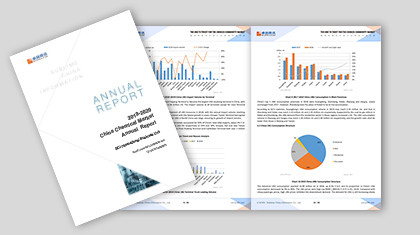 Based on the original data monitored by SCI, the report will make a full and detailed review for China’s basic lithium salt market in line with those authentic data from National Bureau of Statistics of the People’s Republic of China and General Administration of Customs, P.R. China. Besides, SCI will also analyze the market supply-demand fundamentals, profit changes, feedstock sources, downstream industries, technology improvements and policy changes, in partnership with industry senior specialists, China’s major producers and major downstream producers. This report includes the comprehensive analysis of the basic lithium salt market in 2018 and the forecast of the basic lithium salt market in 2019. Ultimately, the report will provide valuable guidance for market participants. 1 To explore the root cause of price collapse in 2018 by analyzing the supply-demand fundamentals of basic lithium salt market. 2 To present China’s future basic lithium salt supply via full sample statistics of the capacity expansion at China’s lithium salt enterprises in the next three years. 3 To interpret China’s alternative fuel vehicle policy, analyze the alternative fuel vehicle market and objectively evaluate the transmission of the basic lithium salt value chain. 4 To analyze the domestic feedstock process cost profit in depth and analyze the trend changes to make market participants clearly understand the future market structure.